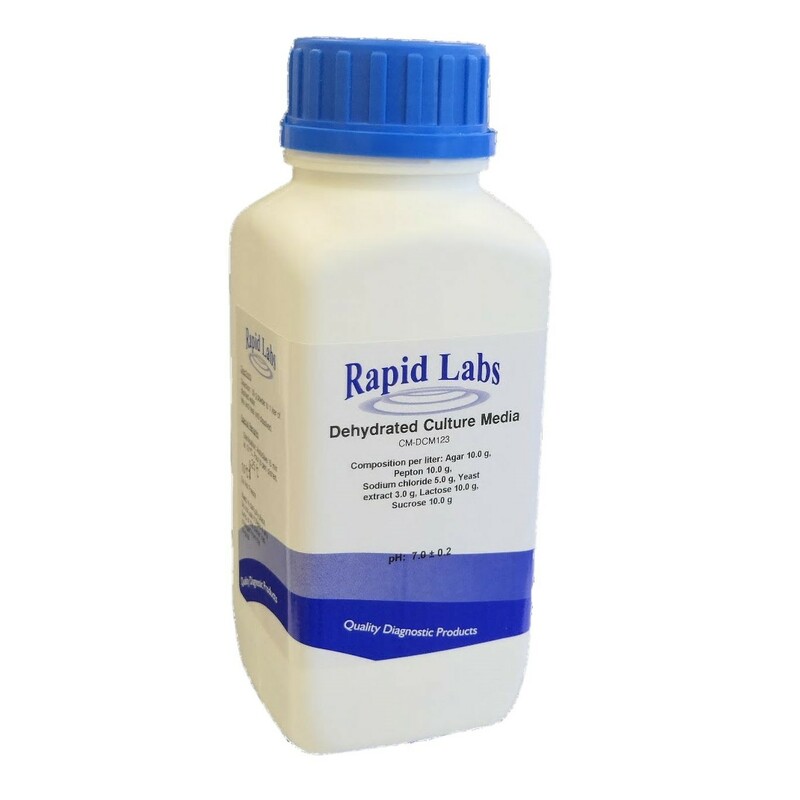 This medium is used for isolation and differentiation of lactose fermenting coliforms. Eosin inhibits enterococci. Escherichia coli produces high amount of acid due to lactose fermentation which causes amide bond between eosin and methylene blue that gives metallic shine to its colonies. Medium is light sensitive. Add 37.5 grams of dehydrated culture medium to 1 litre of distilled water. Autoclave for 15 min at 121 ⁰C. Cool to 45-50 ⁰C, homogenize perfectly and pour into Petri dishes. Needs 24 hours aging before use. Store in the dark due it is light sensitive. Dehydrated medium: homogeneous, light violet fine powder. Ready to use medium: Clear, dark brownish-violet medium.